Manfred Steger once described Searching for Sugar Man, the documentary about blues singer Sixto Rodriguez’s reception into the South African anti-apartheid music underground, as a paradigmatic story of globalization. 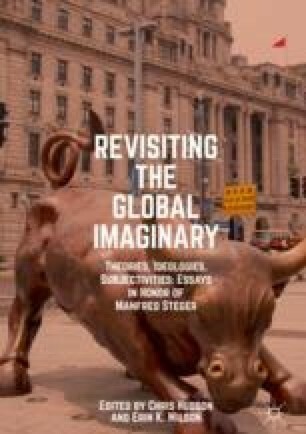 The movie traces Rodriguez as exemplifying the ‘opening up’ of an isolated South Africa to the vast network of ideas, peoples, and money, namely a growing awareness of human interconnectivity that Steger terms ‘the global imaginary.’ This chapter, however, offers another possible reading of this movie: that global and apartheid realities are not so distinct. Rodriguez actually resists the narrative of global redemption portrayed in the movie and offers instead a form of ‘border thinking’—a local knowledge, rooted in radical politics, poetics, and music; one that circulates at the border of the global/apartheid imaginary.